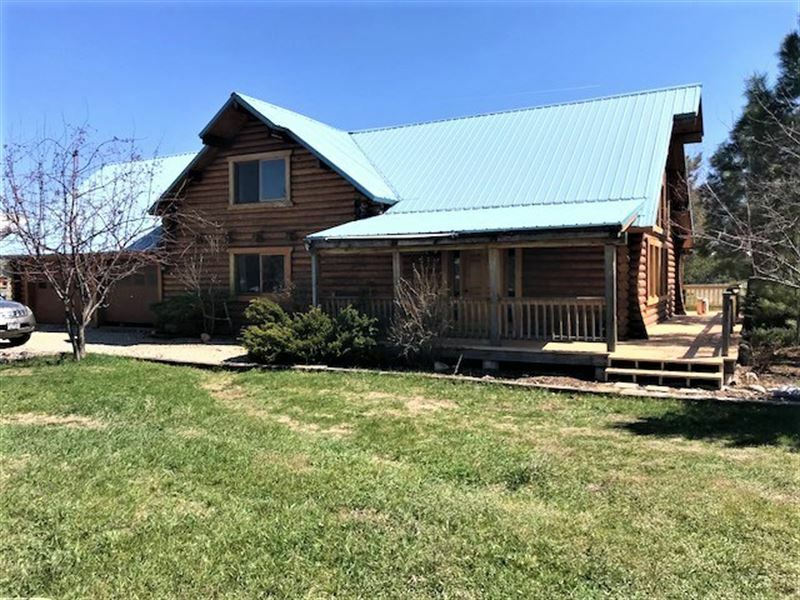 This beautiful 3 BR, 2 BA, 2 car garage, log home is on nearly 9 irrigated acres in the highly desirable Chief Joseph area of Darby in the Tin Cup drainage located in the beautiful Bitterroot Valley south of Hamilton and close to Forest Service. With 360 degree views of the Bitterroot and Sapphire Mountain ranges and Elk and deer are literally just out of your front door. If wildlife viewing and/or going for beautiful drives is what you like to do, this is the place. Enjoy World Class Fly fishing on the nearby Bitterroot River, West Fork of the Bitterroot River, East Fork of the Bitterroot River, or the Big Hole River, located in the Big Hole Valley, just a short drive away. Pursue your game while hunting on the hundreds of thousands of acres of public lands practically at your doorstep. Do you enjoy hiking The trails are endless and in the winter enjoy cross country skiing nearby or downhill skiing at Lost Trail Ski Area, just a short drive south. If you would rather do something involving a motor, crank up your snowmobile and explore an endless supply of forest service land. Make this home your vacation home or your year-round residence. With 360 degree views, the large picture windows in the great room will keep those views coming in. The wood burning stove supplements the heating needs of the house. Could there possibly be more Yes. The northeast portion of the property has a small pond. This great home can be yours, call or text Champ Edmunds at or your real estate professional to see this home. Welcome to the South Bitterroot Valley.